This website was created as a resource into the field of podiatry for students, residents, new practitioners, those looking for educational resources, and patients. First and foremost, the creation was intended to provide an insight into a career path in Podiatry. There seems to be a lack of resources all in one locations for individuals interested in the career and for those going through the process of student to resident to new practitioner. I encountered many difficulties trying to figure out the process with the help of long nights searching the internet and using the personal and professional connections made through networking. From these efforts, I wanted to create a location where as much of the information I found could be placed in one location, to make a "one stop shop" for those in the student to first 3-5 years of practice category. 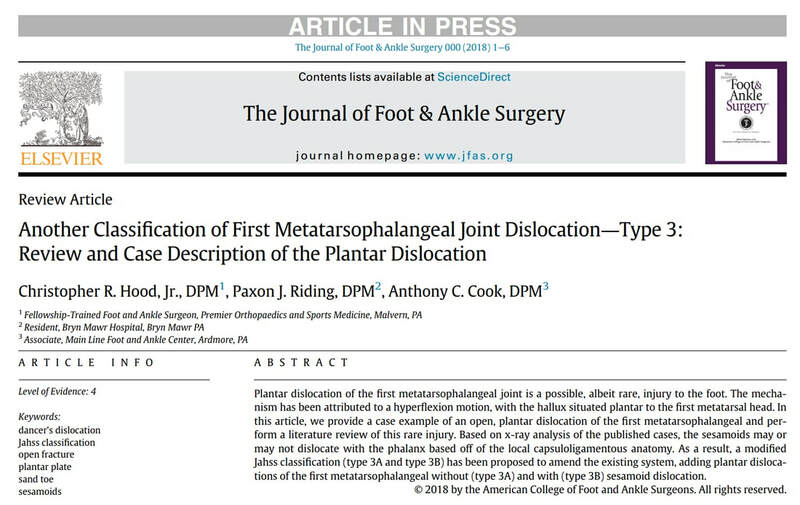 Here you will find information for students and residents interested in foot and ankle surgery, as well as useful information for the job search, fellowship (podiatric), new practitioners, and physicians in practice. There are also pages dedicated to the transition from "Student to Resident" and "Resident to New Practitioner." Please check out the various pages of what I feel is helpful information (with advice and recommendations) that I have have organized based on my past experiences. Finally, I wanted to create a resource for patients. 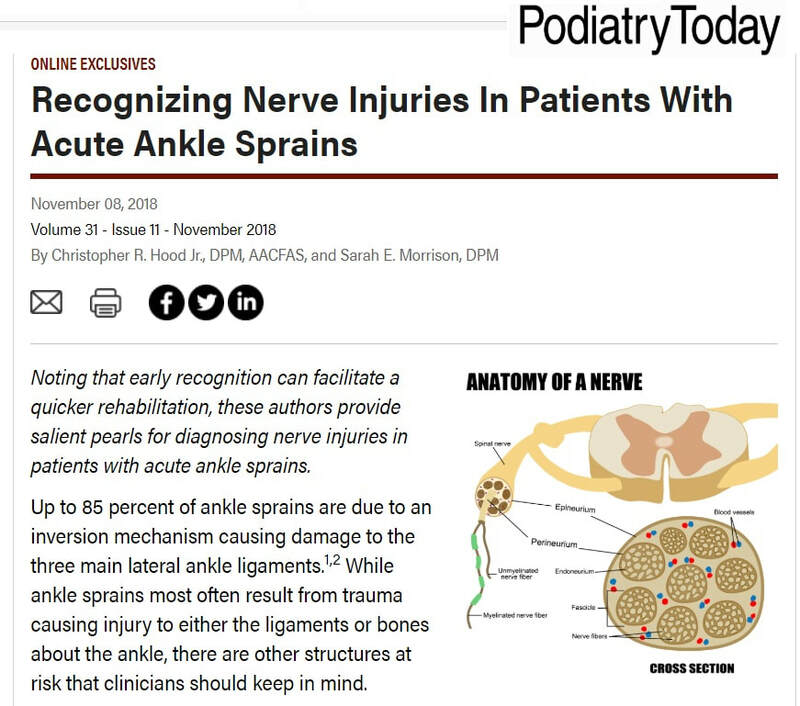 On the site, there is information regarding various foot and ankle pathology (patient-level information), surgery, and resources that may be of benefit to someone with a foot/ankle condition. There is a page with links to various foot and ankle pathology website and a second page with information/links to common foot and ankle issue encountered by patients. My overall goal of this site is to make the dissemination of information more straightforward and concise in one location. All of this is subjective and based on my experiences and searching. I found much of the information presented here when I was going through the student to resident to attending progression and now starting out reviewing for surgery and office-related pathology. Check out the menu for the various pages of content available and search around! If you feel that I am missing something, please let me know and email me! NOTE: These articles and links are provided to be a starting point to patient education. All content and media on the FootAnkleResource is published online (here and from other websites) for informational purposes only. It is not intended to be a substitute for professional medical advice and should not be relied on as health or personal advice. Always seek the guidance of your doctor or other qualified health professional with any questions you may have regarding your health or a medical condition. Never disregard the advice of a medical professional, or delay in seeking it because of something you have read on this Website. If you think you may have a medical emergency, call your doctor, go to the nearest hospital emergency department, or call the emergency services immediately. If you choose to rely on any information provided by Your Health, you do so solely at your own risk. External (outbound) links to other websites or educational material (e.g. pdf’s etc…) are followed at your own risk. Under no circumstances is FootAnkleResource and its creator responsible for the claims of third party websites or educational providers. If you wish to seek clarification on the above matters please don’t hesitate to get in touch with FootAnkleResource. NOTE: This website is a work-in-progress. Some pages are currently blank and will be expanded on. This site is something created, expanded on/worked on in my free time and is always being added to.